Mercure Istanbul Altunizade Hotel' s comfortable and peaceful rooms will make you feel at home. Our hotel offers heated indoor pool, fitness, Turkish bath, steam room, massage and sauna services as well as free WIFI and free indoor parking. Our profession al meetings and events team will meet and exceed your every expectation in our 12 meeting rooms with different capacities. Both local and international tastes and drinks are served throughout the day in our on-site restaurant and brasserie. 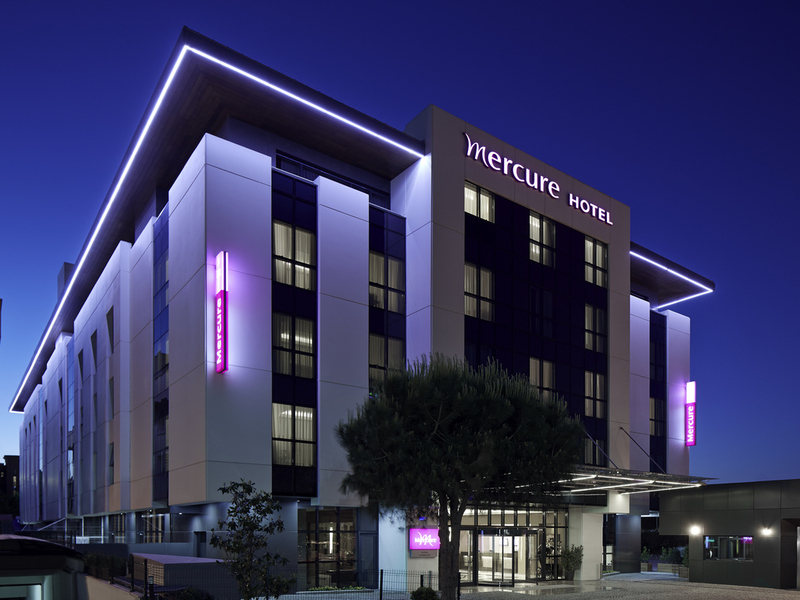 Mercure Istanbul Altunizade is located in Altunizade, the business district of Istanbul's Anatolian side. Its central location with the Eurasia Tunnel, 15th of July Martyrs Bridge, and metro / metrobus stops within walking distance make it very easy to reach every part of Istanbul. Hotel also located close to other important business districts in Umraniye and Atasehir. Tourist attractions such as Maiden's Tower, Bosphorus and Camlica Hill. Capitol, Emaar Square, Akasya are closed by shopping centers. Mercure Istanbul Altunizade restaurant serves international cuisine as well as Turkish specialities. Hotel bar serves a wide selection of snacks and regional wines in a stylish and relaxed environment. Enjoy your drinks while watching your favorite sports. A Nice hôtel with A rude not smiling Team. A very nice hotel. Pity the team at the reception doesn’t deserve to work in the Accor Group. At the restaurant it’s even worst. And the cleaning lady did our room 1 day on 4 ! Don’t ask me why ! Hotel room is not soundproof and i can't sleep well due to 3 boys noising until 11:30 nigth for 3 nights.I can't get much help from front desk because they don't know much about public transportation.Hotel breakfast is not good at all and coffee taste is terrible and not enoug hot foods. We liked the architecture and layout of the room and the balcony with views. Fast wifi, high water pressure, clean room made us extremely satisfied. Unfortunately it was worst AccorHotel ever I’ve stayed in. I am a gold member since 2006 and indeed I am very disappointed with this hotel overall. Very good corner room and good overall experience. Hotel is calm and relaxed. Good welcome and smily reception. People are very nice and welcoming well. Breakfast is good enough. Rooms are nice to have a good stay. Good location, nice receptionists . good cooperative staff, acceptale larg rooms , quiterooms ,good parking. room service is 51% (acceptable)but not so good. with respect to all the staff.thanks for mercure staff. I had a perfect stay. The staff were all extremely kind and helpful. Hotel staff are not helpfull! The air-conditioning was not working well and the room was smelling bad. The floor usually was wet and I could not understand the reason. The breakfast was ok while the staff are continuously following our steps - which is really annoying. I requested the invoice to my email address. Still waiting for the invoice and I still do not know when I will receive it! It should not be so difficult to print out 2 pages of invoice. I reminded the reception several times about it. The answer was that it will be sent to your email. Beside all, I am a PLATINIUM member of Accor hotels - I am not welcomed as platinum member in your hotel. My points are not registered after my stay in your hotel. I reminded the reception about it several times as well. Seem like they pretend that they will take action but actually they do nothing! Finally, I will try not to choose to stay in your hotel next time and I will not recommend your hotel to any of my colleagues who will come Istanbul for business trip. this is my fourth stay since february 2018. Some rooms ( x3x rooms ) have a noise, whose cause cannot be detected. We recognised this, confirmed by maintenance and moved to another room in our 2nd stay. Knowing this in advance, in our last stay we checked the noise first, and asked for another room. There is a problem with room door openers, and you have to go to reception again and again to get it working which is so annoying. Service and hotel amenities were outstanding. From the initial checkin unto we left, could not fault the hotel. Room was fabulous and spacious. As an Accor club member the staff went above expectations to welcome us. Our only regret is not staying a few more days. Great location for restaurants and the Capital Shopping centre was only 10 minuets walk and was a deliyto shop in. Excellent Reception Staff. Good Location. Spacious Rooms. Excellent rooms very kind staff. Staff and breakfast was lovely. Not enough plugs.